Fact about babies, tears and eyes. Interesting fact about babies, tears & eyes. Although newborn babies make crying sounds, they don't produce tears until they are 4 - 13 weeks old. 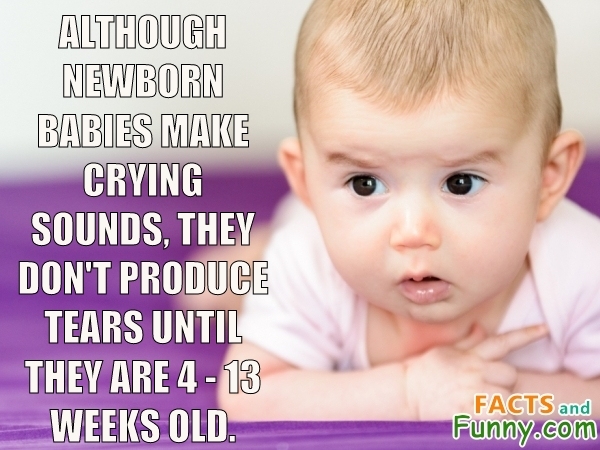 We find this fact interesting because we thought tears were produced right after birth. In addition to babies, this photo shows a baby, eyes and blanket. The average blink lasts for about 1/10th of a second. This content was created in January 2019.